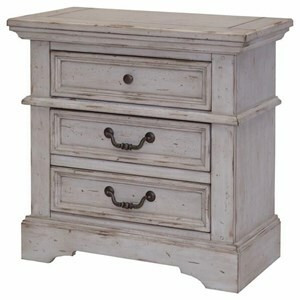 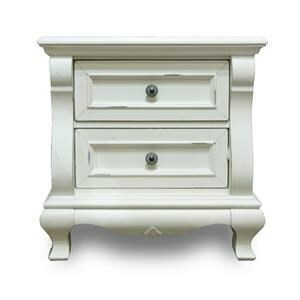 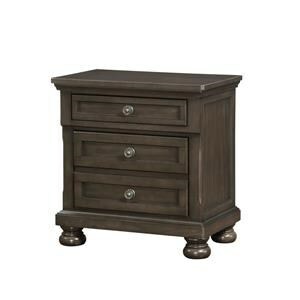 Accent your bedside with this fabulous two drawer night stand. 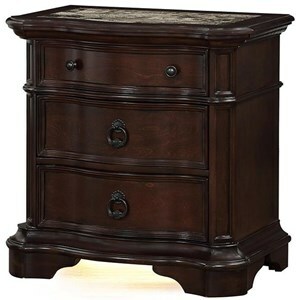 This bedside table is great for placing lamps on and enjoying night time reading or for storing your alarm clock. 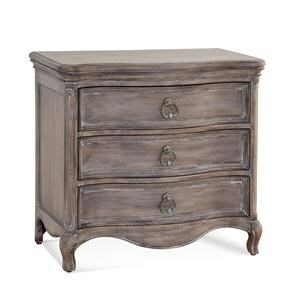 The two drawers are great for housing reading glasses, books, diaries and other personal treasures. 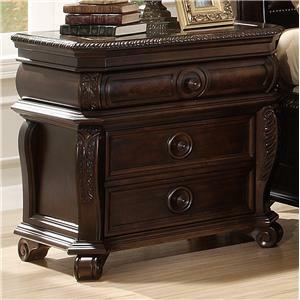 The sharp crisp edges of this nightstand create an elegant high class look that is sure to bring style to your room. 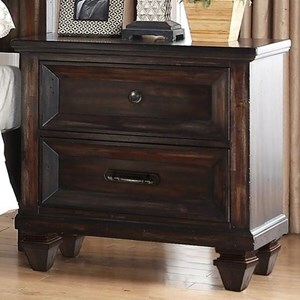 The front facade of this night table are accented with round knobs that make operation effortless. 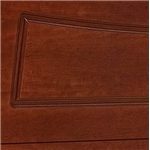  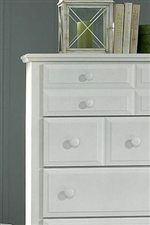 The metal on metal guide system also allows the drawers to smoothly open and close. 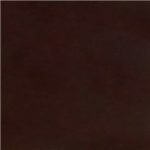 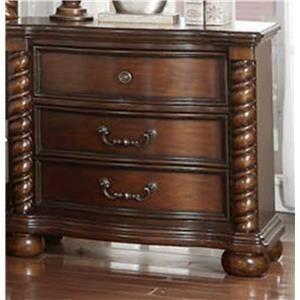 The bracket feet slightly lift the night stand off the ground giving this drawer chest glorification. 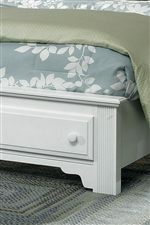 Pair a dresser drawer next to this nightstand and have additional matching storage that will complete your bedroom.